Install a new headunit and maintain backup camera functionality. Installing a Pioneer/Sony/Kenwood/Alpine or other aftermarket headunit in your vehicle? 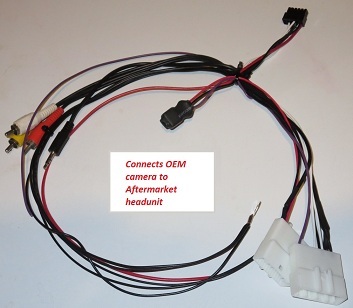 This harness maintains many of the features of your stock unit, including connecting your stock backup camera (if applicable) to your new aftermarket headunit. 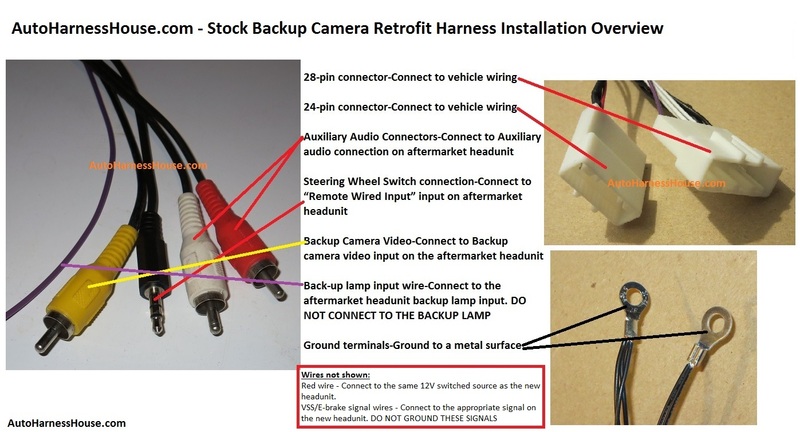 If you have a backup camera, this interface will provide 6 vdc to your backup camera for power and will also provide the video signal to the aftermarket headunit. The harness is 100% plug and play. No splicing the stock wiring harness. Does not disturb stock appearance. 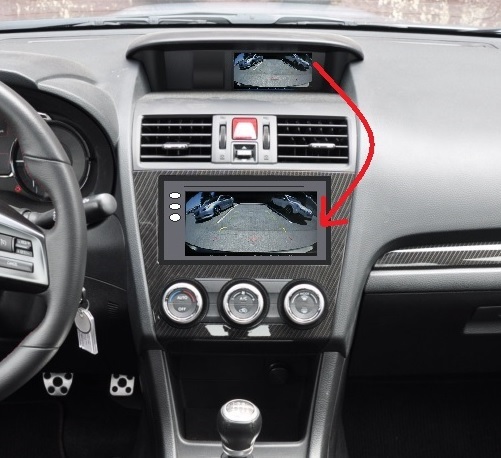 Does the Backup Camera Currently Display on the OEM Headunit? 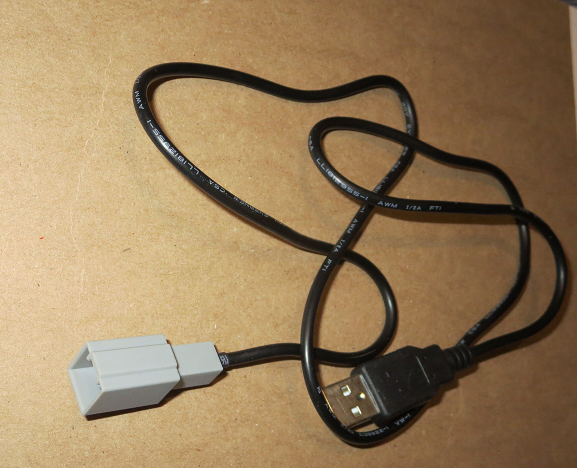 This adapter will retain USB function when you install an aftermarket headunit in your Subaru. Are you installing a Pioneer headunit? No. I am installing a different brand. Yes. I am installing a Pioneer headunit. Please Select an option above to purchase! The AXXESS ASWC-1 connects your car's steering wheel audio controls to select aftermarket car stereos. -Verify that the vehicle is off. -Carefully remove the plastic cover around the head unit and unscrew/unbolt as appropriate. Disconnect and remove the stock headunit. 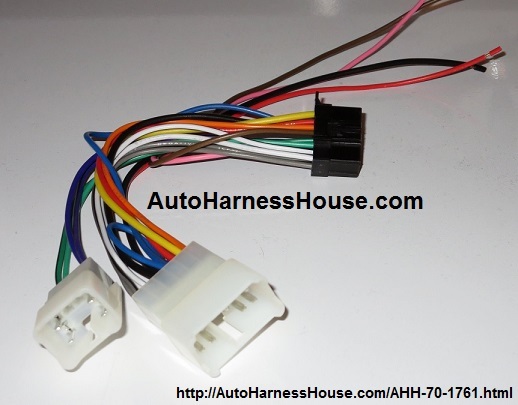 -Connect the 24-pin and 28-pin connectors on the AutoHarnessHouse.com harness to the corresponding connectors on the vehicle's wiring harness. -Connect both black ground terminals to a screw or bolt behind the dash. Note that these terminals must make contact with a metal surface for this harness to operate properly. Many Subaru vehicles use the small Multi-function display (MFD) in the dash to display the OEM backup camera. We have developed a harness to allow our customers to relocate the backup camera image from the MFD to the larger navigation screen. 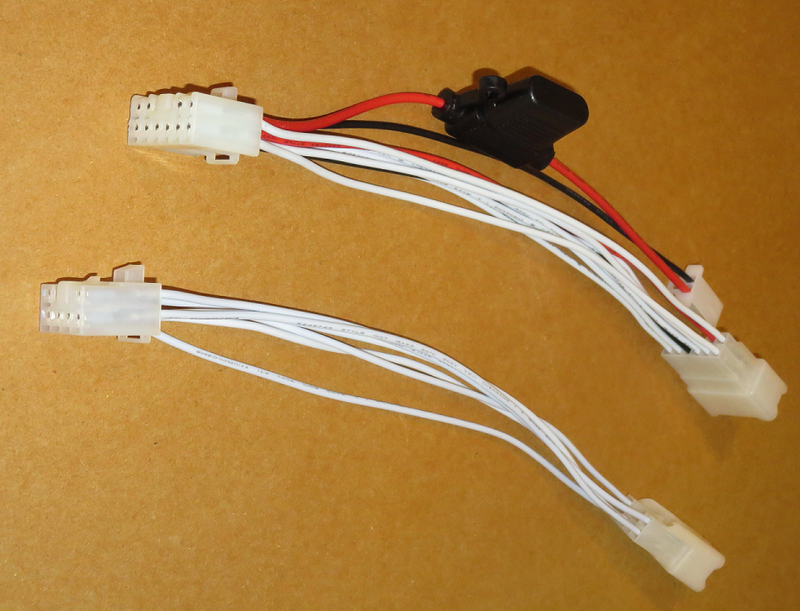 Find the correct Splice/Jumper harness for your Subaru with our new PartFinder Page! Installing an aftermarket amplifier or subwoofer? 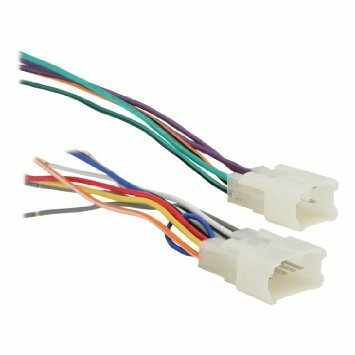 Pick the correct jumper harness for your vehicle based on the model and configuration of your vehicle HERE! This prevents the need to cut or damage factory wiring when adding an aftermarket amplifier or subwoofer.